Posted on 26, February 2016 by EuropaWire PR Editors | This entry was posted in Defence, Italy, Transportation & Logistics and tagged AgustaWestland AW101, Finmeccanica, Italian Air Force. Bookmark the permalink. 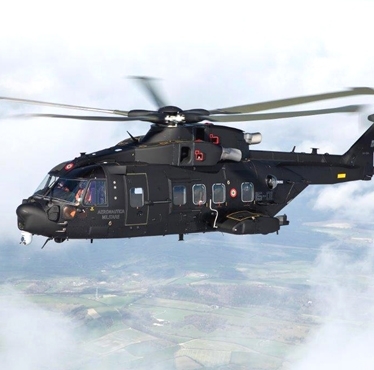 ROME, 26-Feb-2016 — /EuropaWire/ — Finmeccanica and the Italian Air Force celebrated today the entry into operational service of their first AgustaWestland AW101 helicopter, designated the HH-101A “CAESAR”, during an official ceremony at Cervia Air Base. A total of four HH-101A “CAESAR” helicopters, out of a total requirement of 15, have been delivered from the Finmeccanica Helicopter Division’s assembly line in Yeovil(UK) to date, and will be used to perform personnel recovery and special forces missions. The HH-101As will also support search and rescue (SAR), medical evacuation(MEDEVAC) and slow mover intercept operations, countering small aircraft threats, to provide effective support to the Italian community.